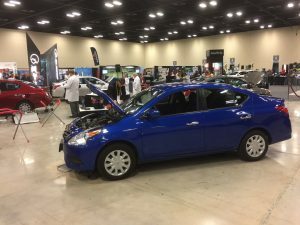 Congratulations to our very own Collin Walton for his windshield replacement performance at the 2016 Auto Glass Week™ in San Antonio, TX last week. 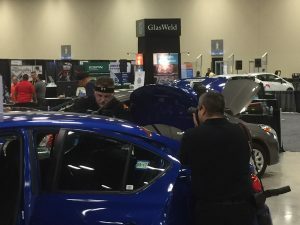 This annual event encourages participants in the automobile glass industry to learn from industry leaders, discover the latest innovations in auto glass, and participate in a fierce competition to be the Best Auto Glass Technician in the Country. Collin did an exemplary job in one of the toughest competitions in the automobile glass industry, the Auto Glass Technician Olympics (AGTO). The AGTO attracts skilled auto technicians from around the world. 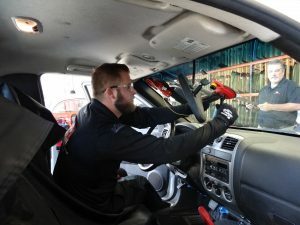 Contestants are required to complete several, flawless windshield and back glass removal and replacements in a timed setting. Collin also had to demonstrate an in-depth knowledge of industry standards, communicate each step effectively, and display an exceptional ability to establish customer rapport. The contest consisted of a proctor judge that followed Collin through every step of the installation process, 2-3 rotating industry subject matter experts that monitored and recorded his every move on at least 30 intricate process checkpoints, and an audience of more than 100 spectators including our very own Don's Mobile Glass industry experts Steve Mort President, David Leach COO, and Jacques Navant Technical Director - no pressure, right?! After 2 competition rounds spanning the course of 2 days, Collin finished in the Top 4 certifying him as one of the best auto glass technicians in the country! 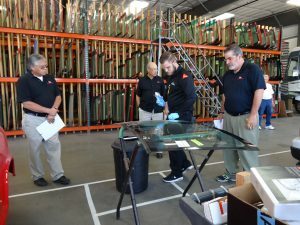 We go to great lengths to ensure that all of our auto glass technicians are knowledgeable, well-trained, and go beyond to perform a world-class installation, every time. We are extremely proud of Collin's accomplishment and look forward to entering again next year.